Thanks to a new startup, brands can now automatically send personalised direct mail to customers who have browsed online stores but not made a purchase. 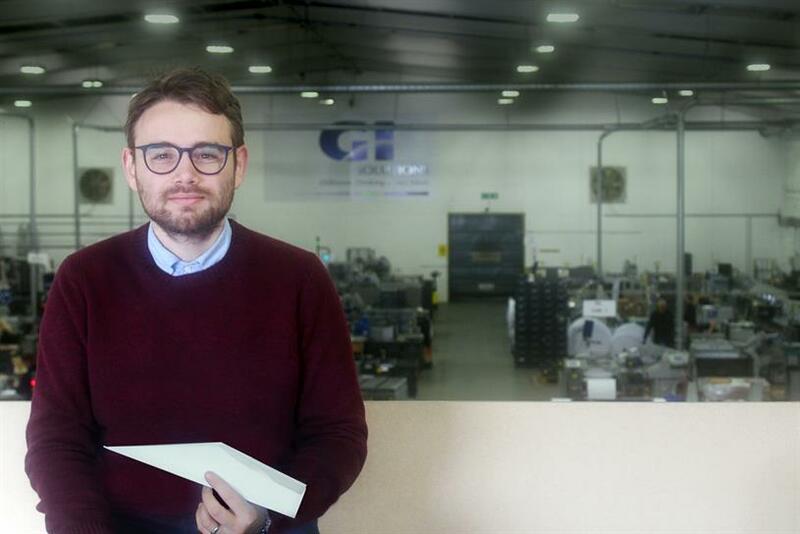 GI Solutions, one of UK’s biggest digital printing companies, has invested in tech startup Paperplanes with the aim of making automated and personalised direct mail a possibility. The startup also has the backing of the Royal Mail. The way Paperplanes works, explained founder Daniel Dunn, is via online analytics which sits behind the client’s ecommerce infrastructure. "When we work with a client, we’re working with them to tag the sites to form the build of our communications strategy." These tags, which are bits of coding, can be geared around campaigns to tackle abandoned baskets, improving conversion rates, reducing churn, guiding new customer journeys and retaining loyal customers. "We have the ability to see that a client is looking at an item on Wednesday morning, and sending that information to the print press the same day," said Dunn. "The process triggers when a relevant objective has been met." The sophistication of GI Solutions’ digital printers ensures that one-to-one customised direct mailers are both economically feasible and fast. It also changes the nature of how printed products are ordered. Instead of a single bulk order, clients can essentially order a number of ‘impressions’ similar to online ad buying. "We’ve done our best to make it a very transparent cost per print model. We agree on how many contacts, the cost per print, insight analytics, everything that associated with the buy is provided to the client up front," said Dunn. The company’s official launch date is on 23 February however it has already started working with clients, including fashion brand JD Williams. Paperplanes worked with JD Williams to use its existing abandoned-bag email programme to target non-responding customers with highly personalised mail (letters). The mail arrived within a week of product abandonment and were customised with a visual reminder of the products and also included visuals of the individuals ‘most browsed’ product categories. The campaign delivered a 14% basket recovery uplift, said Dara O’Malley, head of marketing at JD Williams. "This would not have happened without the lovely personalised letters and postcards Paperplanes delivered," she said. As with any targeted campaign, there is the potential to turn off your audience, particularly if brands are sending mailers to their homes. But Dunn, who has worked on the Tesco’s Clubcard loyalty campaign while he was at Dunnhumby, says the secret lies in the creative. "You don’t need to be intrusive, or boast that you’re looking at what people are doing online," he said. "It’s about personalisation and relevance."